As we came to the end of September 2018, And when we look back on this passing year we see a number of amazing tools and technologies came to ease our mobile app development traditions. Since last decade, Android App development is booming in a market as the splendid platform for smartphone across the globe. Today, it became a million dollar business. 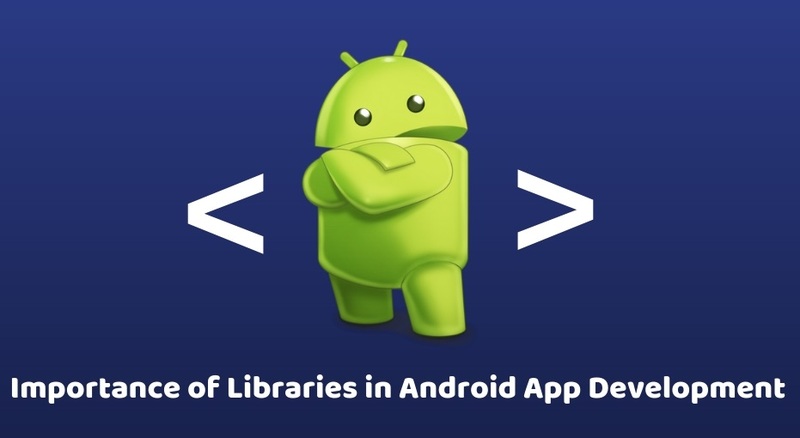 When it comes to Android App Development, libraries are the most basic requirement of each Android App Developer; and if you are reading this post, do sit tight. Every enthusiastic who wants to be updated professional app developers need to look at some of the amazing libraries that been introduced and widely spreading into developing market from the starting of 2018. It is an Android App development library used for developing descendant navigation. Obviously inspired by the Google Inbox and Reply. Definitely, one should try this out which is released under Apache 2.0. InboxRecyclerView - can be dropped in any current project without efforts. This will provide SlideBackView inside the activity, this is an interesting Android library to be explored. On the other hand, it is pretty much upsetting the library is in Chinese. The library is released under MIT license. This is an amazing library that is almost written 100% in Kotlin. It is released under Apache 2.0 license. The Documentation is well managed for Android App Development, structured and perfect to start with. Creative ViewPager is new to ViewPager is the one that combines a header list. Makes scrolling smooth and sets as per the coordination of web page visual content. This library offers a set of LayoutManagers for RecyclerViews to have features and effects that you can see if you will try to explore the tool. When it comes to the documentation this library is much short and limited but as always at the very end, it totally depends on the mobile app developer that how he/she can play with the code. This is a checkable widget from the Google I/O 2018 application. It recommends Android minSdkVersion 21 or above to work. The documentation is well written and easy if anyone wants to start. The widget is written in Kotlin and released under Apache 2.0 license. This is a calendar widget. Ready to use, lightweight and powerful tool. This tool offers some of out of the box facilities to an Android developer. Infinite scrolling in X-Y coordinate. The documentation of the tool is well structured along with the example it is too easy to use. It is released under MIT license. The actual name is Mavericks, It is the most popular Android framework from Airbnb. This is just huge. Almost all product developments at Airbnb uses the MvRx. When it comes to the visual devices MvRx provides a framework, and due to that Android screenwriting became easier than it was before. Albeit, this tool developed on top of present components. So that it is very easy to incrementally adopt. The prime aim is to build and deliver products faster and with less effort. This framework is released under Apache 2.0 license. Documentation is proper and conceptual. Not only the development but the users of the Android app are all excited about this cool feature. This popular Android library is to crop images in a very smart way that will generate a perfect bordered image at last. Much more applicable in scanning. It can simply identify the borders and enhances the image accordingly. Rich UI settings make this tool super easy to use. The Android library is developed to use the Modal bottom sheet dialog, which is based on the Material Guidelines. Documentation has the enough to get started. Also released under Apache 2.0 license. Above listed are the top Android Libraries that made the developing job easy that we recommend to each and every android developer to check out before the end of 2018. These Libraries will save your time and will smoothen Android App Development process. The best thing is that mobile application development platforms are rapidly upgrading so does the demands. From the Consumer perspective to the enterprise, everyone needs a great and out of the box experience, and to achieve that Android App developers need to be up to date with all the tools and techniques coming into the market. And if you’re the one who wants to give splendid experience to the consumer or I say confused about the costing, ideas, technologies? Reach out to us. Here, At Kunsh Technologies we have experienced best Android developers evolving with the latest tools and technologies. Drop us a query, or hire Android developers and together we will develop an extraordinary experience for your consumers.